No pictures or movies today. I'm just glad this week is over. I'll be on KTLK tomorrow morning for econ 101 with Johnny Wendell. Until then, relax as much as you can and think about anything except the market. Let's take a look at multi-year charts to see how the markets are looking. Prices have moved through price levels established in 2002, 2004, 2005, 2006, 2007 and 2008. Now we are looking to test lows established in 2003. That's when this multi-year rally started. As of this writing, the QQQQs are at 30.10. The QQQQs have moved through lows established in 2004, 2005, 2006, 2007 and 2008. Now the QQQQs are looking to test the high established at the end of 2002. Mercifully we still have a ways to go before we've wiped out this rally. As of this writing, the IWMs are at 47.90. The IWMs have moved through levels established in 2004, 2005, 2006 2007 and 2008. Now they are looking to test levels established in 2003. That's a lot of wealth wiped out. Paul Volcker was the last great Chairman of the Federal Reserve. He was presented with a terrible situation -- stagflation, or weak growth and high inflation. He could only tackle one problem. He chose inflation. To combat the problem he increased interest rates to levels that caused a recession. In fact -- there were two recessions. However, 25 years later, we still have low inflation largely thanks to Volckers efforts. He deserves far more accolades than he receives. In today's WSJ he offers something that is dearly lacking right now: hope that this situation will end. What has been dearly lacking from anybody (and I mean anybody in any party in any position anywhere) is leadership. Bush is a lame duck watching is legacy (what little is left) circle the bowl. Congress has lacked any dynamic leaders who inspire calm. Paulson attempted one of the largest power grabs in political economic history several weeks ago lowering his public perception. In short, there haven't been many adults anywhere to be found. However, Volcker is an adult. His editorial is clear and decisive. First of all, there is now clear recognition that the problem is international, and international coordination and cooperation is both necessary and underway. The days of finger pointing and schadenfreude are over. The concerted reduction in central bank interest rates is one concrete manifestation of that fact. While there is concern on my part that Bush will do everything he can to prevent international coordination from occurring, the bottom line is circumstances may overpower him. Simply put -- he really doesn't have much choice right now. In the U.S., with higher limits of deposit insurance in place, the FDIC has demonstrated its ability to protect depositors, to arrange mergers, and to provide capital for troubled banks. Most other countries now have a comparable capacity. Recent U.S. legislation has provided authority for large-scale direct intervention by the Treasury in the mortgage and other troubled markets. Along with increased purchases by Fannie Mae and Freddie Mac, now under government control, means of restoring needed liquidity are at hand. Other key sectors of financial markets are now protected or supported by either the Treasury or Federal Reserve, specifically by temporary insurance of money-market funds and by direct purchase of commercial paper. The FDIC has been working overtime over the last year. Behind the scenes they have helped to arrange important mergers that kept deposit access seamless while preventing more hits to their capital. They deserve far more credit then they are getting. There is now authority for the Treasury to take unprecedented moves in the markets. While some may not like this -- those arguing "socialism" etc -- they should simply be ignored. The bottom line is we are far past the point of ideology. We need solutions. What has been proposed so far is clearly insufficient to solve the task. We need far more direct intervention and participation. In addition, there are other regulatory pieces in place. SIPC will help to prevent losses at brokerage firms should there be any problems. There is talk of insuring all bank deposits and debts. In other words -- we're moving in the right direction. Bottom line: both of these charts are bullish. This is a multi-year chart. Notice that it's dropping off a cliff. Also note the volume -- it's huge. The SPYs have dropped 42% since their highs a year ago. The Treasury plan was still preliminary and it was unclear how the process would work, but it appeared that it would be voluntary for banks. The proposal resembles one announced on Wednesday in Britain. Under that plan, the British government would offer banks like the Royal Bank of Scotland, Barclays and HSBC Holdings up to $87 billion to shore up their capital in exchange for preference shares. It also would provide a guarantee of about $430 billion to help banks refinance debt. Let's look at this plan. The US government essentially injects capital (money) directly into banking institutions. The US government gets some kind of ownership interest in the bank (usually preferred shares). The idea behind this is in giving the banks money the banks will turn around and make loans. 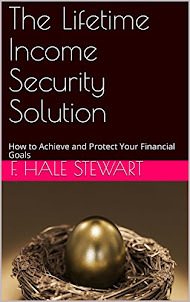 The primary benefit of this program is taxpayers will get an ownership interest in the banks. Therefore, when the banks become more profitable the taxpayers various interests will increase in value and therefore provide a return on the investment. 1.) The US government becomes an owner of banks. How many owners are hands off? Not many. Is this a good idea? 2.) There is no reason to think this will be cheap. We've already seen over $500 billion in writedowns. With 1 in 6 US homeowners now underwater there is no reason to think the trend in writedowns will diminish anytime soon. In other words, if someone says this will be cheaper they're not seeing reality clearly. Any option is going to cost serious money. In other words, this is not an environment where banks will start to make loans -- it's the natural time when banks start to slow down anyway. My guess is banks will use the cash to shore up their balance sheets. Here's the real bottom line. There are no good answers to this problem. There are no magic bullets. The financial system is in serious trouble. The Feds are one step ahead of the latest domino falling. But the dominoes will continue to fall for awhile. I'll be on the BBC's World Have Your Say at noon CST. But even before the most recent blows to the national economy, Californians were feeling the downward drag of a consumer-led recession -- in which shrinking home values caused people to rein in their spending, fueling unemployment and, in turn, sparking further spending cuts and joblessness. This explains why the housing downturn is so incredibly destructive. It's not just home prices that take a hit. Homes are the single biggest asset most people own. When its value is dropping it hits homeowner's psychology incredibly hard. And dropping home prices are. As those prices have dropped people have cut back on their spending. John Luc has seen how housing problems bleed into the broader economy. Mr. Luc is the 36-year-old manager of Homestore Furniture in Ontario, a middle-class community 40 miles east of Los Angeles and one of the centers of the housing bust. Since last year, retail sales have fallen, while unemployment and office vacancies have soared. Eighteen months ago, he watched a nearby Levitz furniture store close down in a bankruptcy sale. Since then, he said, the few buyers who've visited his store ask for discounts. "Everybody negotiates," he says. The other day, Mr. Luc was presiding over the store's going-out-of-business sale. Although the father of two young children expects to get a job at another Homestore outlet, he and his wife have checked their spending. He says he saves $50 or more each week by packing a lunch each day, and he makes coffee at home instead of stopping at Starbucks during his long commute. "I haven't gone into a steakhouse like a Black Angus for dinner in six to eight months," he says. When 2/3 of economic growth comes from the spending described in the above graphs, you've got serious problems. -- The 50 week SMA is turning sideways (and will start moving lower within the next few weeks). 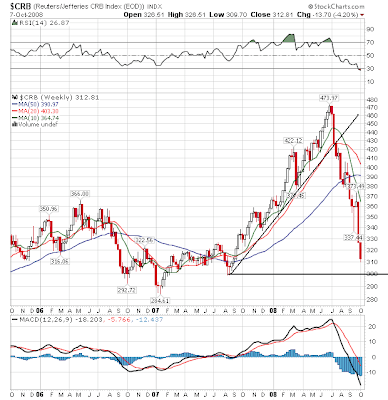 A look at the chart reveals a very bearish chart. 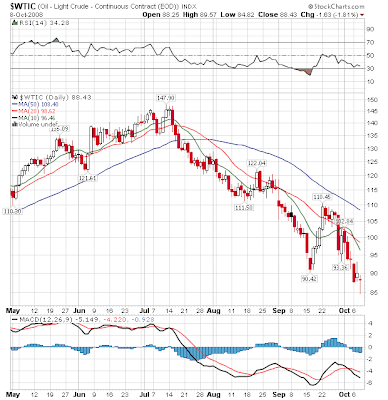 However, by all technical indicators the market is extremely oversold right now. Stochastics are also scraping the bottom. In other words, don't be surprised to see a relief rally over the next few days. As the U.S. economy entered into crisis mode in September, so did the retail sector, ramping up discounts and special offers to entice reluctant shoppers. But the retailers who reported September sales results Wednesday -- with the exception of Wal-Mart Stores Inc. and other discounters -- are indicating the promotions hardly helped. Many retailers reported worse-than-expected declines, with some -- such as Target Corp. and J.C. Penney Co. --- issuing downbeat estimates for the quarter. For the most part, the discount sector has been the only one to perform well amid recent economic troubles. Shoppers increasingly have been turning to warehouse and big-box discounters as they try to get the most for their money. Most other sectors have been suffering as shoppers continue to pull back on discretionary items, despite retailers' efforts to lure the bargain-hungry shoppers with greater discounts. A rise in discount sales at the expense of all other stores is a bad development. It's worse when you consider that 70% of US growth comes from consumer spending. 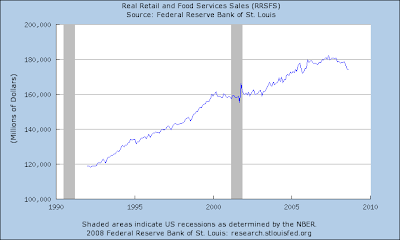 The simple line chart tells us that real retail sales (inflation-adjusted) have been stalling for some time). 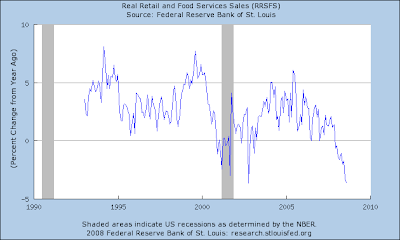 The year over year percentage change shows that retail sales have been dropping hard for some time. Personal consumption expenditures -- which also include durable goods -- shows the same decline. The bottom line is the consumer is definitely pulling in his spending. The governments of Belgium, the Netherlands and Luxembourg took partial control late Sunday of struggling bank Fortis NV, while Britain seized control of mortgage lender Bradford & Bingley early Monday. The German government and the country's banks and insurers agreed on a 50 billion euro ($68 billion) rescue package for commercial property lender Hypo Real Estate Holding AG after an earlier bailout faltered. Germany's financial industry agreed to double a credit line for Hypo Real Estate to 30 billion euros, Torsten Albig, a spokesman for Finance Minister Peer Steinbrueck, said late yesterday in an e-mailed statement. The federal government's guarantee for the credit line remains unchanged, Albig said. The government and the Bundesbank have said that Hypo Real Estate, Germany's second-biggest property lender, is too big to fail. They met with banks and insurers in Berlin all day yesterday to discuss a revamped rescue package after private banks on Saturday withdrew their support for a 35 billion-euro rescue package brokered a week ago. Additionally, the European Central Bank joined with the U.S. Federal Reserve in doubling the credit swap line that makes dollars available to cash-hungry banks from US$120 billion to $240 billion. The Bank of England doubled dollar availability to US$80 billion, while other central banks offered smaller amounts. The Federal Reserve Board on Tuesday announced the creation of the Commercial Paper Funding Facility (CPFF), a facility that will complement the Federal Reserve's existing credit facilities to help provide liquidity to term funding markets. The CPFF will provide a liquidity backstop to U.S. issuers of commercial paper through a special purpose vehicle (SPV) that will purchase three-month unsecured and asset-backed commercial paper directly from eligible issuers. The Federal Reserve will provide financing to the SPV under the CPFF and will be secured by all of the assets of the SPV and, in the case of commercial paper that is not asset-backed commercial paper, by the retention of up-front fees paid by the issuers or by other forms of security acceptable to the Federal Reserve in consultation with market participants. The Treasury believes this facility is necessary to prevent substantial disruptions to the financial markets and the economy and will make a special deposit at the Federal Reserve Bank of New York in support of this facility. Britain's banks will get an unprecedented 50 billion-pound ($87 billion) government lifeline and emergency loans from the central bank after the freeze in credit markets threatened to bring down the financial system. The government will offer to buy preference shares from Royal Bank of Scotland Group Plc, Barclays Plc and at least six other banks, and provide about 250 billion pounds of loan guarantees to refinance debt, the Treasury said in a statement today. The Bank of England will make at least 200 billion pounds available. The plan doesn't specify how much each bank will get. The emergency action came after the FTSE 350 Banks Index fell almost 20 percent in the past month. Prime Minister Gordon Brown is following U.S. President George W. Bush, who approved a plan last week to spend $700 billion to prop up financial institutions with untested measures as equities plunged around the world. None of these plans/efforts is doing what it is supposed to do: calm the markets and bring a sense of confidence back to the market. The bottom line is clear: despite all of these efforts, the short-term lending markets have completely frozen because no one trusts anyone's officially stated balance sheet numbers regarding what they are worth. This is called "counter-party risk." It simply means that lenders are so concerned about a borrowers solvency even in the short-term that no one is making even the shortest loan. From the US perspective this is largely symbolic. US Interest rates are already 0% ofter adjusting for inflation. However, this is important for the European Central Bank, as Trichet has been very hawkish on inflation until very recently. I say round 2 because there are now a number of coordinated policy measures various central banks could take together. For example, The ECB could create its own bail-out fund to match the US' and then coordinate the two funds actions to really start helping the battered institutions. Either way I do think this is good news because the big policy makers realized one very important thing: we're in this thing together now. -- The 20 day SMA has provided strong upside resistance for the average. Bottom line: this chart has become extremely bearish over the last few months. There are no bullish indicators. I would expect relief rallies to occur -- rallies where traders come in because they think prices are overly cheap -- but I would not expect a sustained rally at this point. The SMA picture for the IWMS has been somewhat cloudy for the last few days, but a clear picture is starting to emerge. And it isn't good. The Treasury will make a deposit with the Fed's New York district bank to help set up the new unit. The central bank will also lend to the program at policy makers' target rate for overnight loans between banks. The Fed Board invoked emergency powers to set up the unit, the central bank said in a statement released in Washington. So -- the Fed is going to but commercial paper. So -- what does that mean exactly? Commercial paper is not usually backed by any form of collateral, so only firms with high-quality debt ratings will easily find buyers without having to offer a substantial discount (higher cost) for the debt issue. A major benefit of commercial paper is that it does not need to be registered with the Securities and Exchange Commission (SEC) as long as it matures before nine months (270 days), making it a very cost-effective means of financing. The proceeds from this type of financing can only be used on current assets (inventories) and are not allowed to be used on fixed assets, such as a new plant, without SEC involvement. So -- why would a corporation need to issue this paper? There are lots of reasons. For example, a retail store (like Sears) has two big sales periods -- Christmas and back to school. So twice a year they get a big cash infusion and the rest of the time their sales are hit and miss. Let's suppose a store like Sears wants to get ready for back to school. But for whatever reason they've drained their Christmas profits. How can they buy merchandise to sell? They issue commercial paper. This market is vital for all sorts of reasons -- inventory and payroll being two of the biggest. Let's add another concept to the mix: time. Ever wonder why the yield curve is shaped like this? Time. If you lend money to someone short-term there are fewer things that can go wrong that would prevent them from not paying you back. But if you lend someone money for a long time there are more things that can go wrong. To compensate you for the increased risk of lending someone money for a longer period of time, lenders demand a higher interest rate for longer loans. So, commercial paper should carry a really low yield because it is issued for a short period of time. With me so far? Lately, short term rates have been spiking. This seems odd, especially when short term rates are supposed to be lower that long-term rates. Why are short-term rates spiking? Lenders are concerned that borrowers won't be able to pay back a loan even in the short-term. Hence they are asking for a higher interest rate to pay them for a short-term loan. In addition, people are unwilling to buy this paper. In market terms "there is no bid." People are so concerned that even top quality credit risks will announce a writedown in their assets -- and therefore be unable to pay back a loan -- that no one is buying any commercial paper. At the same time, commercial paper is vital to the economy; every large company depends on it for one reason or another. Therefore, this market has to work. Opening up another front in the battle to end the credit crunch, the Federal Reserve announced Tuesday it will buy unsecured commercial paper in an effort to restart a market that's ground to a virtual halt in recent weeks over concerns about the financial sector. "This is a transparent step that should help to pump liquidity into a mature market that had seized alarmingly fast in just a week," according to Harm Bandholz, UniCredit economist. Will this move work? Is it even legal? There are questions that will be answered in time. Right now the Fed is trying to do anything it can to keep the economy from slipping further into a recession. The crisis that began as a made-in-America subprime lending problem and radiated across the world is now circling back home, where it pummeled stock and credit markets on Monday. While the Bush administration’s bailout package offers help to foreign banks, it seems to have done little to reassure investors, particularly in Europe, where banks are failing and countries are racing to stave off panicky withdrawals after first playing down the depth of the crisis. Far from being the cure for the world’s ills, economists said, the rescue plan might end up being a stopgap for the United States alone. With Europe showing few signs of developing a coordinated response to the crisis, there is very little on the horizon to calm rattled investors. The vertiginous drop in stock markets on both sides of the Atlantic on Monday reflected not only those fears, experts said, but also a growing belief that the crisis could tip the world into a global recession. Ah yes -- the gift that keeps on giving: credit problems. Last week was extraordinary. Ireland the Germany moved to guarantee bank deposits. Several other European countries nationalized various banks. The bottom line is the problems are spreading. Sometime over the last year or so the theory of "de-coupling" was advanced. This theory said that US problems would remain contained in the US. Well, that theory went out the window last week. Let's take a look at some stock charts from around the world. -- Australia formed a head and shoulders top from 2007 to 2008. -- The 10, 20 and 50 day SMA are all moving lower. -- Prices have clearly broken below the uptrend stared in 2003. -- Germany also formed a head and shoulders pattern in 2007 and 2008. Brazil is a great example of the phrase "cliff-diving"
-- Prices have clearly broken the uptrend started in 2003. Something else I will note with extreme caution: where is the news from Asia? We're heard a scant nothing from any Asian banks on this. Were they that much smarter then the rest of us? Or is there something else we should know? -- Prices rallied from the end of October to March of this year as a reaction to the credit crisis. 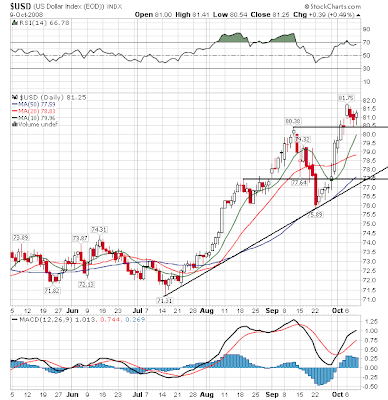 -- Treasuries started rallying again at the end of June as it became apparent that the credit crisis was deepening an spreading. -- They are bunched together withing 1 point of one another. This is a sign of confusion on the part of market participants. This is a much more bullish chart. The main problem is yields are incredibly low -- there is only so far a fixed-income security can rise before yield starts to limit further upside potential. I'll be on KTLK tonight from 9-10 CST to talk about this situation. On the IWMs, note that prices finally broke through the 64 level. With all of the above charts note that prices gapped down today on high volume. While I would expect a relief rally over the next few days, this is a terrible way to start the week. I've got jury duty today. I'm guessing they probably won't pick me (I'm a lawyer, I've got a masters degree and I'm extremely opinionated) but you never know. I should be back in time to do the market wrap at the end of the day. Remember we're looking at the change without transfer payments. That makes the spike in May of this year meaningless. Note the year over year trend line has been dropping since July of 2007. Also note the percentage change is nearing 0% over the last few months. In other words -- personal income isn't looking that good. Note the year over year percentage change in employment growth has been dropping since April 2006 and is now negative. Note the unemployment rate has been increasing since January of last year. Industrial production's year over year rate of change has been dropping all year. Capacity Utilization has been dropping since the end of the third quarter of 2007, although the last three months have seen incremental increases. The ISM manufacturing number has been dropping since 2004 and recently took a big drop into recessionary (below 50) territory. The Chicago NAPM number has shown two strong months although the readings for the rest of the year have been borderline recessionary. All of these numbers tell the story of an economy in a recession. My guess is the NBER will date it from the beginning of this year. Given all of the action we've seen over the last few weeks I'm going to do a more in-depth post on the markets and cover the SPYs, the QQQQs and the IWMs. 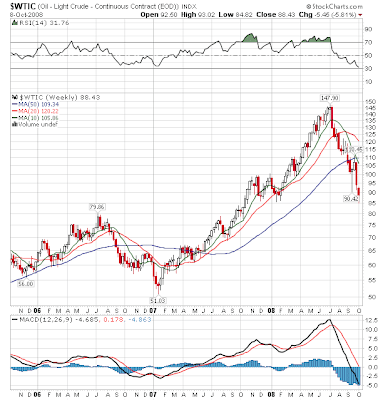 -- The SPYs have clearly formed a multi-year double top. This corresponds to the end of the internet bubble in 2000 and the end of the housing bubble last year. 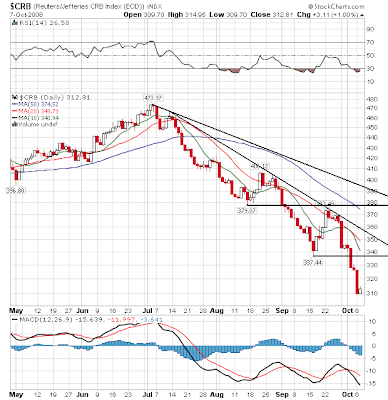 -- Also note the latest sell-off is not approaching the 61.8% Fibonacci retracement level. That means we have at least a point and a half more to go, assuming the market is targeting Fib levels. 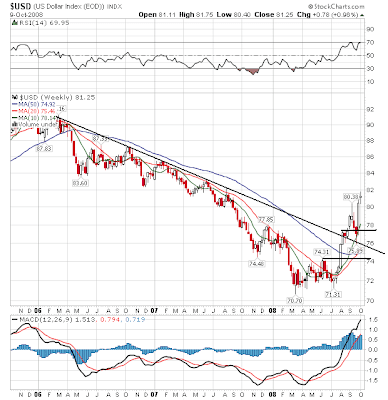 Regardless of the trend line you use, the SPYs have clearly broken the upward sloping trend line supporting the market for the last 5+ years. Bottom line: this is a bearish chart, plain and simple. On the multi-year QQQQ chart, notice the current price level has broken all three important uptrends that supported the latest, multi-year rally. In other words, the rally is over. On the one year chart, notice that prices have consolidated in two triangle. The first lasted two months and occurred at the end of 2007. The second lasted for most of 2008 but prices broke through the lower support line at the beginning of September. 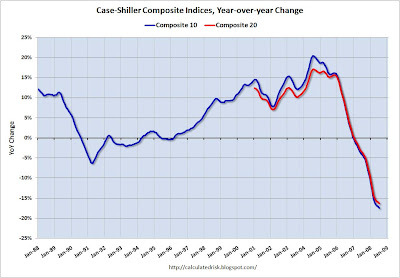 Prices have fallen almost 32% from their high at the end of the summer in 2007. Finally, note that prices are at their lowest point of the last year. On the multi-year IWM chart, notice that prices have broken the uptrend the supporter the multi-year rally. Since breaking the rally, the IWMs have moved in a roughly 10 point range between 64 and 74 (with a few spikes up to 76). On the yearly chart we can better see the trading range that has occurred. 64 has provided incredibly important technical support. -- All the SMAs are bunched up within a very narrow range. This indicates a lack of direction. -- Prices have dropped below the key 64 level. Bottom line: bearish when considered in line with the other charts.